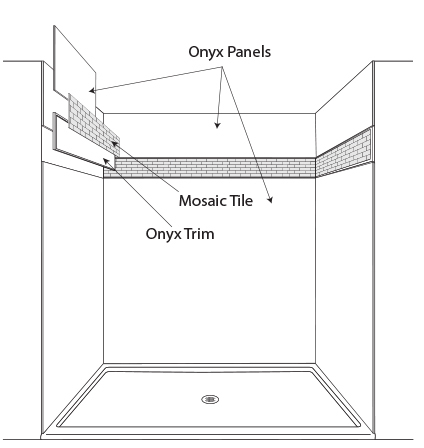 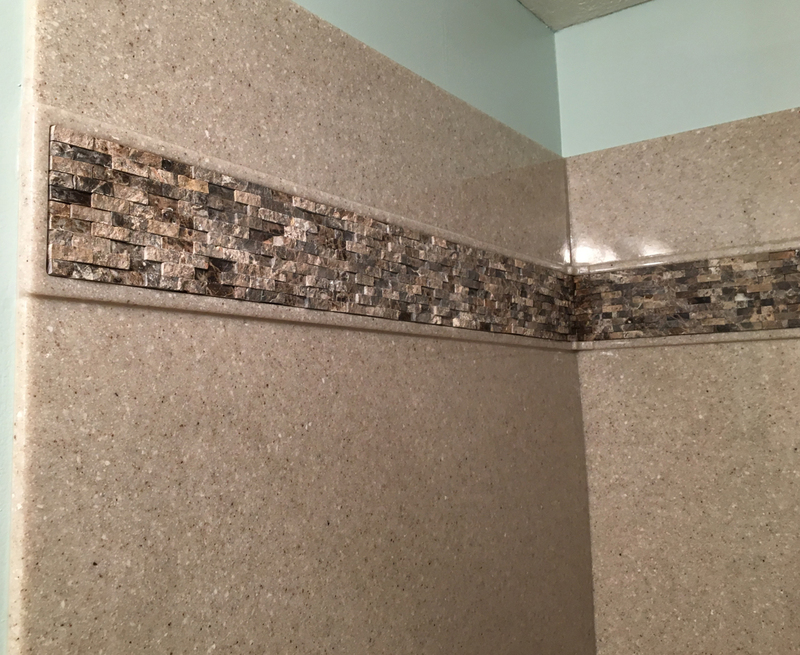 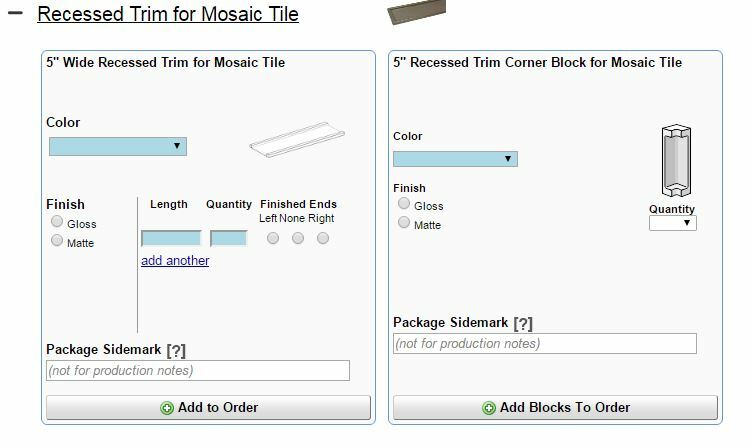 Onyx Recessed Trim for Mosaic Tile is 5" tall with a recessed area intended to hold 4" mosaic tile. 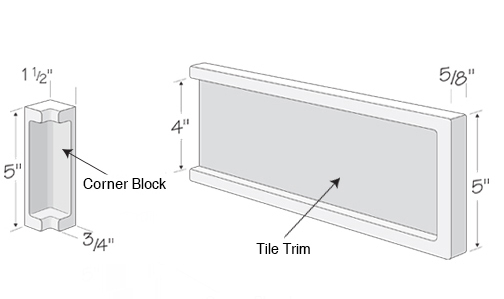 The perimeter of the Recessed Trim is about 9/16" thick and the recessed center area is about 3/16" thick. 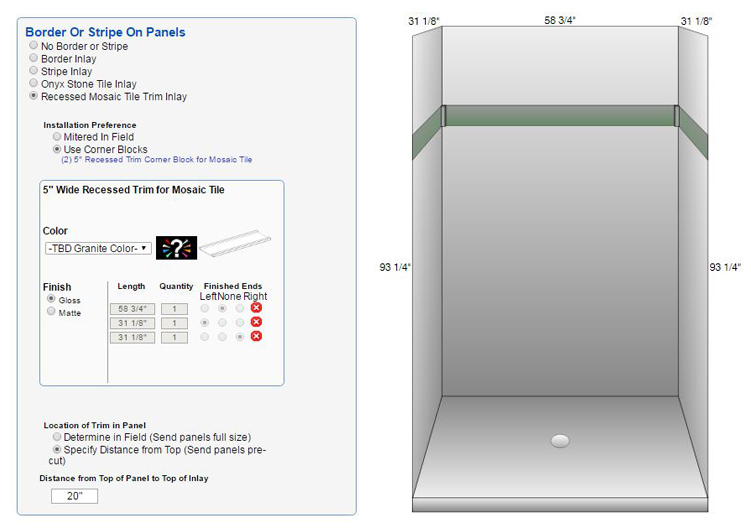 Also available to order Online in the "Trim Section"